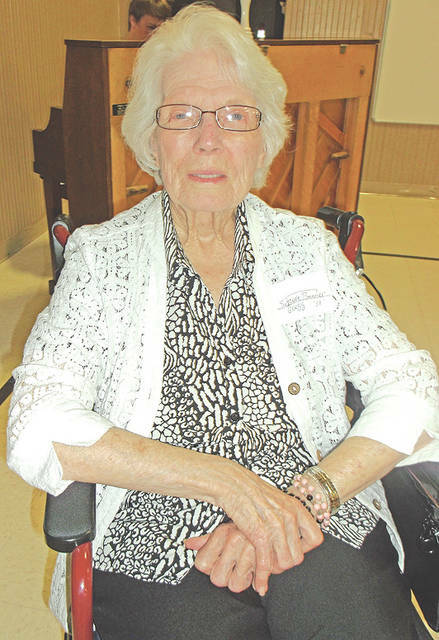 Representing the class of 1938 was Suzanne Benner Gregg, celebrating the 80th year. 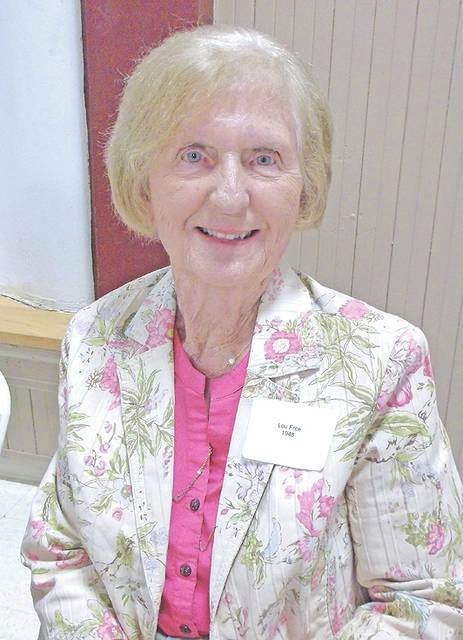 Representing the class of 1948 was Lou Taylor Free, celebrating the 70th year. 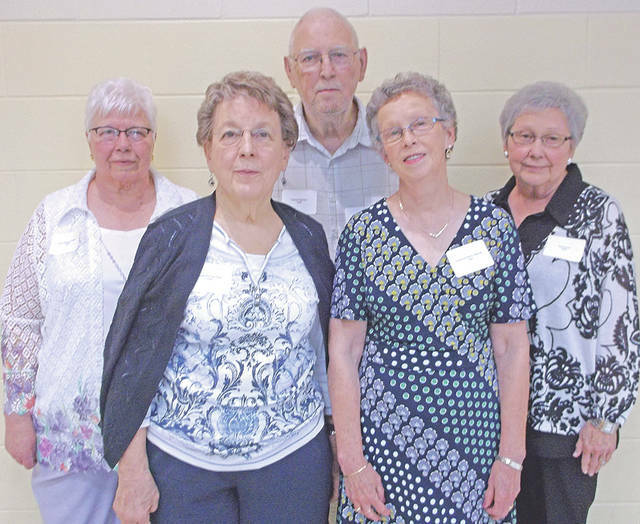 Members of the class of 1958, from left, were Carol Wisecup Rumer, Susan Boring Starn, Charles Benner, Christina Myers Wasmer and Kay Neff Kline, celebrating the 60th year. 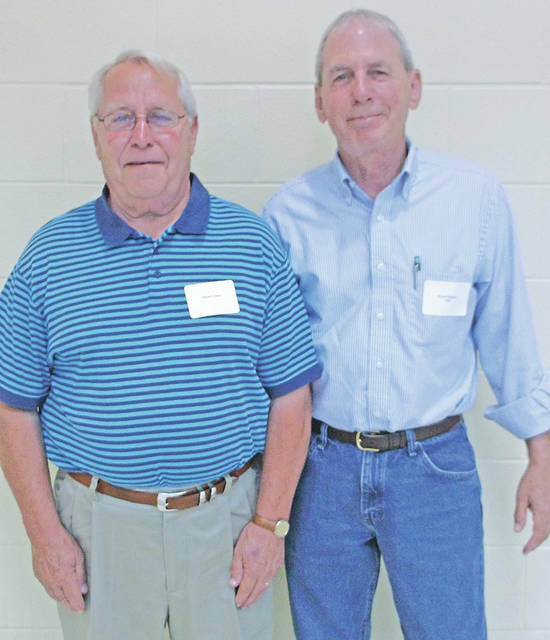 Representing the McClain High School class 1968, from left, were Steve Lewis and Bruce Stewart, celebrating the 50th year. Officers for this year’s banquet were, from left, president Joe B. Stewart. vice president Beverly Johnson Mayo, secretary Carolyn Shumaker Owens and treasurer Joyce Mick Cropper. Buckskin High School, which consolidated with Greenfield Exempted Village School District in l966, held its 102nd Annual Alumni Banquet on Saturday evening, June 16, 2018, at Buckskin Elementary School. 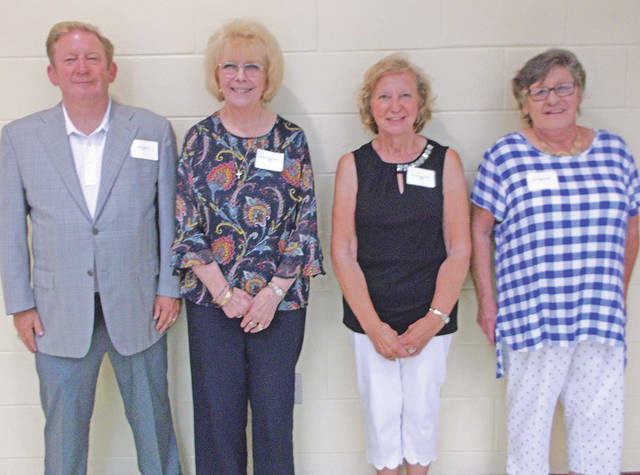 Officers for this year’s banquet were president, Joe B. Stewart, McClain class of 1975; vice president, Beverly Johnson Mayo, McClain class of 1969; secretary, Carolyn Shumaker Owens, McClain class of 1967; and treasurer, Joyce Mick Cropper, McClain class of 1970.
https://www.timesgazette.com/wp-content/uploads/sites/33/2018/06/web1_Buckskin-pic-1.jpgRepresenting the class of 1938 was Suzanne Benner Gregg, celebrating the 80th year. https://www.timesgazette.com/wp-content/uploads/sites/33/2018/06/web1_Buckskin-pic-2.jpgRepresenting the class of 1948 was Lou Taylor Free, celebrating the 70th year. https://www.timesgazette.com/wp-content/uploads/sites/33/2018/06/web1_Buckskin-pic-3.jpgMembers of the class of 1958, from left, were Carol Wisecup Rumer, Susan Boring Starn, Charles Benner, Christina Myers Wasmer and Kay Neff Kline, celebrating the 60th year. https://www.timesgazette.com/wp-content/uploads/sites/33/2018/06/web1_Buckskin-pic-4.jpgRepresenting the McClain High School class 1968, from left, were Steve Lewis and Bruce Stewart, celebrating the 50th year. https://www.timesgazette.com/wp-content/uploads/sites/33/2018/06/web1_Buckskin-pic-5.jpgOfficers for this year’s banquet were, from left, president Joe B. Stewart. vice president Beverly Johnson Mayo, secretary Carolyn Shumaker Owens and treasurer Joyce Mick Cropper.